Kids at the Museum - KRASS e.V. 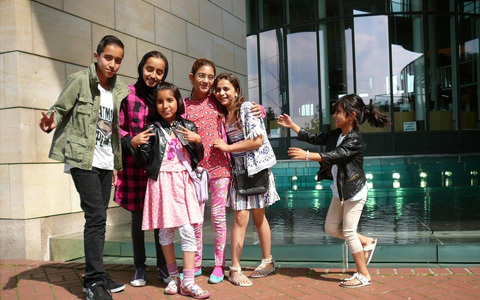 Together with Kunsthalle (Art Gallery) Düsseldorf and the KIT – Kunst im Tunnel (Art in the tunnel) museum once a month we invite children to join a WELCOME WORKSHOP and to visit current exhibitions. Participation is free of charge and the workshop duration is two hours. We are starting with a Monster Generator on Friday, 15th July 2016, from 4 – 6 p.m. Children of refugee shelters of Düsseldorf as well as other children of the city will create fantasy creatures with special powers in the Monster Generator – monstrous fun guaranteed! The workshop is offered exclusively by KIT – Kunst im Tunnel (Art in the tunnel), Kunsthalle (Art Gallery) Düsseldorf and KRASS e.V. and also addresses participants without or with very few knowledge of the German language.